Other commissions & performances include a piece for The Astrid quartet with guest RSNO principal trombone Davur Juul Magnussen for the Made-In-Scotland Edinburgh Festival Series, a piece for SATB & solo clarinet for Old St.Paul’s church in Edinburgh, a song for soprano and voice for the composers concert at the International Kodaly Institute Symposium in Hungary, (where she also had the privilege of taking masterclasses with Professor Gyula Fekete, from The Liszt Academy In Budapest), and a Capella piece for children’s choir in Ohio. A successful new collaboration was developed with choreographer /dancer Marc Brew, and visual artist Rachel Gadsden, involving a 20 minute sound creation (live percussion, electronic and re-recorded material music and soundscape) for “Cube of Curiosity” performed at the Liberty festival, part of National Paralympics day at Olympic Park, London (September 2013. In 2014/15 she worked again, individually, with both collaborators. With Marc Brew on his new solo dance piece, “For Now: I Am”, which previewed at Lilian Bayliss Studio, Sadlers Wells, & premiered at Tramway in May 2015 and went on to a run at the Edinburgh fringe festival, as well as in UK and abroad. And with Gadsden on a visual art / short film / live cello performance collaboration, “Shamal”, performed in Liverpool and London. Following success in the 2015 string quartet competition she had her quartet premiered by the Royal Scottish National Chamber Orchestra, with a follow-up performance in their own series of chamber concerts. Recent work includes Composer in Residence at SoundThought festival 2016, with ensemble Glasgow New Music Expedition (GNME) and new collaborative work with visual art and choreography. She also recently completed a commission of several children’s songs for the National Youth Choir Of Scotland. Other compositions have been performed by The Fidelio Trio, Red Note Ensemble, Musiclab, Alba Brass, The Astrid Quartet, Flercussion and Flutes En Route amonist others. Alongside composing, Claire is an active music educator interested in the Kodaly teaching approach for developing musicianship skills and specialising in early years and middle years education. 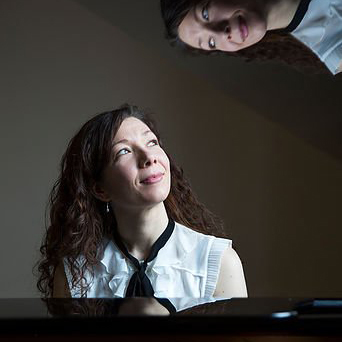 She teaches piano on the Royal Conservatoire of Scotland’s Early Years programme, and musicianship for the Junior Conservatoire. and has worked on a range of music education and outreach projects for Glasgow Concert Hall’s, NYCoS, YMI Falkirk and Wee Inspiration Festivals.